Hello! 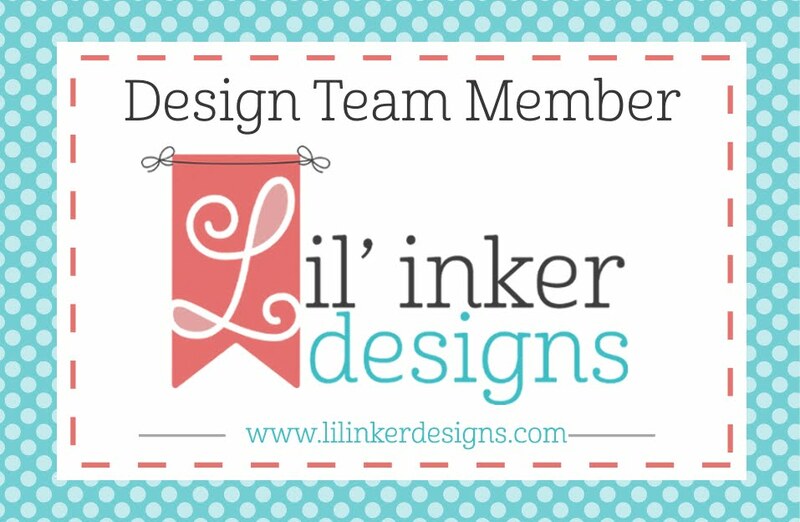 I'm stopping by with a card and sale announcement - both for Lil' Inker Designs! 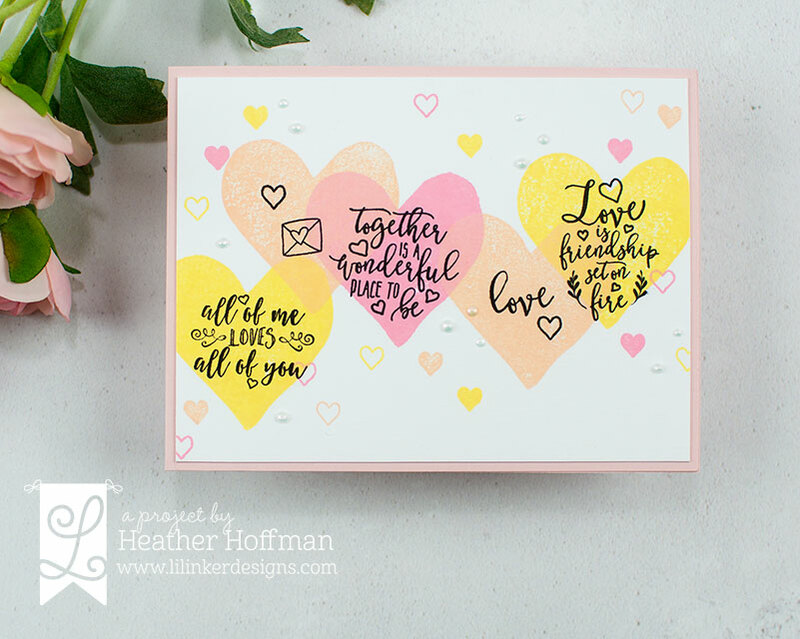 I thought it would be fun to share a bright, happy, and nearly one layer card featuring an older stamp set - Love You More! 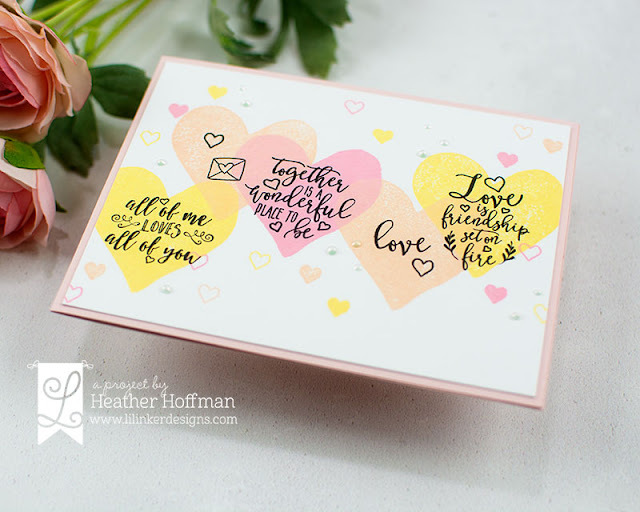 I used some Altenew dye inks in 3 colors - Mango Smoothie, Cotton Candy, and Peach Perfect - to stamp one of the large heart images. 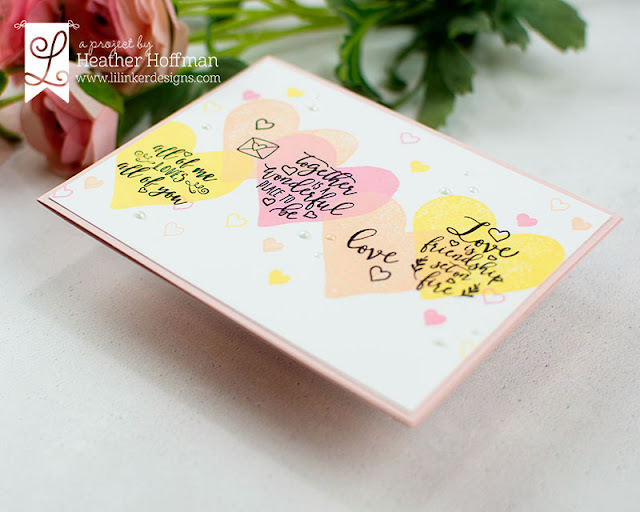 I then used those same inks to stamp several of the smaller hearts scattered around the card front. I used several of the sentiments from the stamp set - plus the one tiny envelope from Farm Love tucked on there as well! 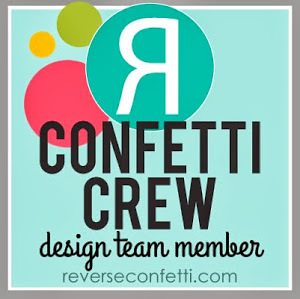 I added some iridescent Nuvo Dream Drops (I brought them home from Creativation - I don't think they have released yet, but I know they are coming soon!) - then mounted on a soft pink cardbase. Super quick and fun - and I love how dreamy the color combination is! 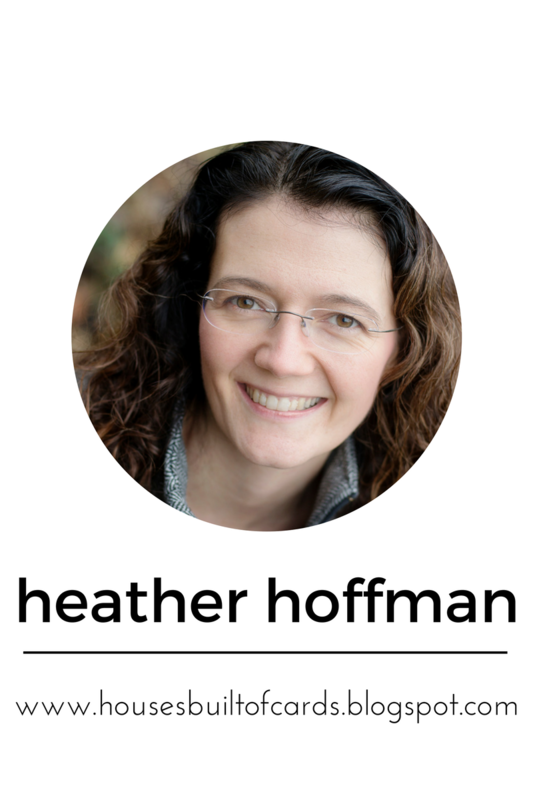 And here is the promised sale info! You can get the adorable Love You Much Border Die FREE with a $25 purchase! 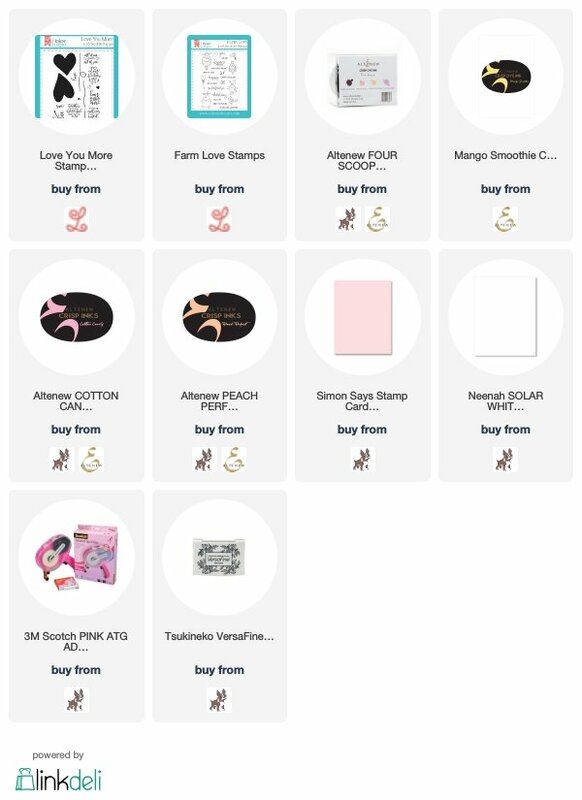 No coupon code needed, so head HERE to shop!